Rick Hafele and I were doing water quality sampling. Here’s Rick dropping our Van Dorn sampler down to 200 ft. of depth. The fish collection facility and entrance to the SWW Tower can be seen in the background. That green water resembling pond water was warm (67 degrees at 10:00 AM) and very alkaline (pH 9.6, yes 9.6! )* and could contain toxic algae. The water at depth was cold (51 degrees) and clear with a pH of 7.0*. The water that was historically drawn from the reservoir to drive turbines and then be discharged into the lower river was from the bottom. The bottom where there is cooler, cleaner water. Or H2O in chemistry speak. 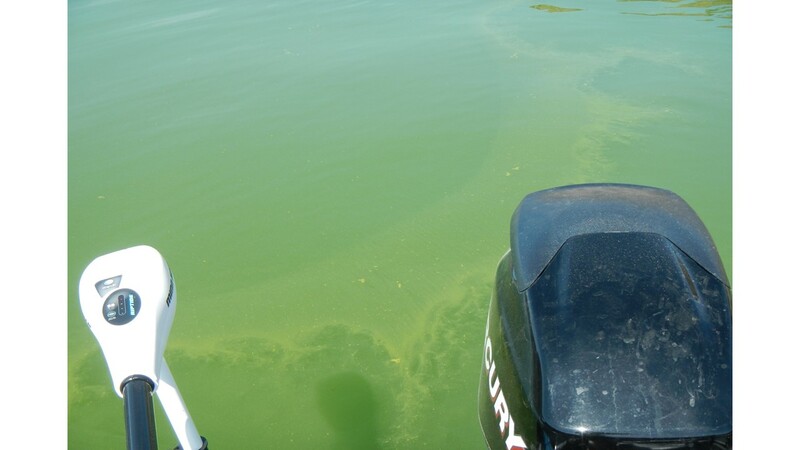 It should also be noted that the U.S. Forest Service has as of June 10, issued a health warning regarding toxic blue-green algae being present in the Metolius arm of Lake Billy Chinook Reservoir. Apparently due to a lack of resources and jurisdiction the U.S.F.S. is not investigating the possibility of toxic algae being present in other parts of the reservoir. Now, much of the year that surface water that is algae laden comprises most of the water being discharged into the lower Deschutes. This is ostensibly to guide juvenile hatchery fish planted in the reservoir tributaries to the collection facility at Round Butte Dam, where they are collected, tagged and transported by truck around the dams. We’ve been documenting the problems that this surface water draw is creating in the lower river. Just look at the surface water and what it contains! No wonder the river has changed! The dam operators deny there are problems. We’ve not heard of one instance of acceptance of the problems that every astute angler who fishes the lower river has witnessed. In the meantime, guides and outfitters, and regular anglers all know that in the past few weeks the hatches have died out. That means few adult insects are mating. It means that businesses dependent upon the lower river are feeling the impact. We’ve heard from numerous outfitters and service providers that bookings are suddenly down on the lower river. Way down. Cooler, cleaner H2O. Just what the lower river needs. 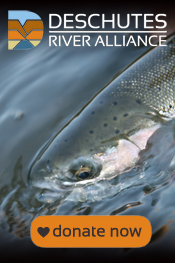 And it’s the Deschutes River Alliance’s new motto. Cooler, cleaner H2O. It’s what we all need. *pH is a measure of acidity and alkalinity from 0 to 14. Pure water has a pH of 7.0. The water quality standards for the State of Oregon call for a maximum pH of 8.5. At 9.5, water has the pH of baking soda and is approaching the pH of milk of magnesia. In nearly all instances in humans, a blood pH of greater than 7.5 is fatal. From the poem, “Ask Me” by William Stafford, Oregon Poet Laureate. To paraphrase Bob Dylan’s song “Subterranean Homesick Blues,” you don’t need a weatherman to know it’s suddenly become hot outside. And the lower Deschutes River is warming with the weather. As shown in this graph from the temperature gauge at Moody, the river hit nearly 72 degrees F. on Sunday, June 7. More hot weather is in the forecast. Lower Deschutes water temperature at Moody, near the confluence of the Deschutes and Columbia Rivers. 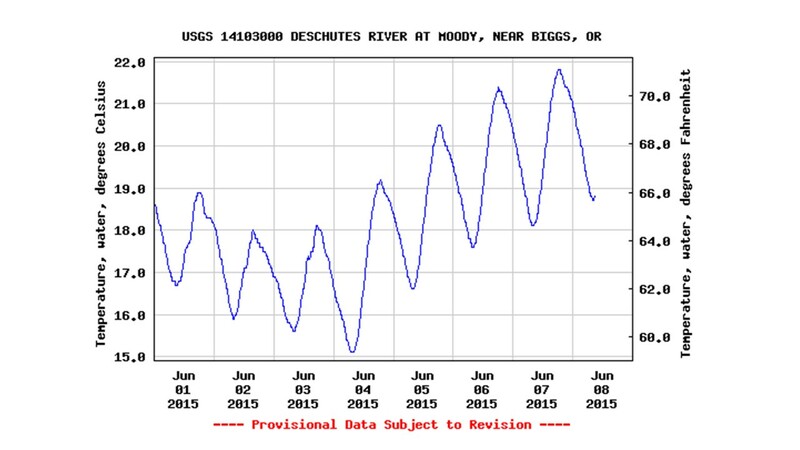 Courtesy USGS Moody Streamgage online data. Dylan’s actual line was, “You don’t need a weatherman to know which way the wind blows.” And we know which way the wind is blowing regarding temperature management at the Pelton-Round Butte Dam Complex using the Selective Water Withdrawal (SWW) Tower. The dam operators have been using a temperature management model that seeks to “eliminate the thermal presence of the dams.” Combining surface (warm) and bottom (cool) water withdrawal in the SWW Tower is supposed to do this. 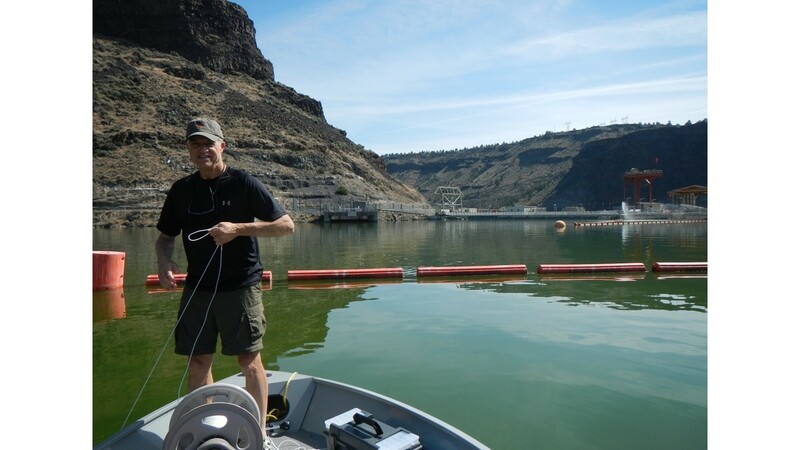 Combining the temperatures of the Lake Billy Chinook tributaries and the air temperature at Redmond Airport and plugging them into a statistical equation determines the temperature goal for water discharged from the dam complex. The warmer it gets, the warmer the discharge from the dams should be according to this model. This is analogous to turning up your home’s furnace during hot weather, instead of turning on the air conditioner. The dam operators, according to their Water Quality Management and Monitoring Plan (WQMMP) are to further warm the river when it’s already warming due to weather conditions. This makes no sense from a biological perspective. When is it ever better to warm a salmon-trout-steelhead river? Last year the dam operators lowered the temperature of the lower Deschutes by increasing bottom water draw from 15% to 45% on July 18 and 19. 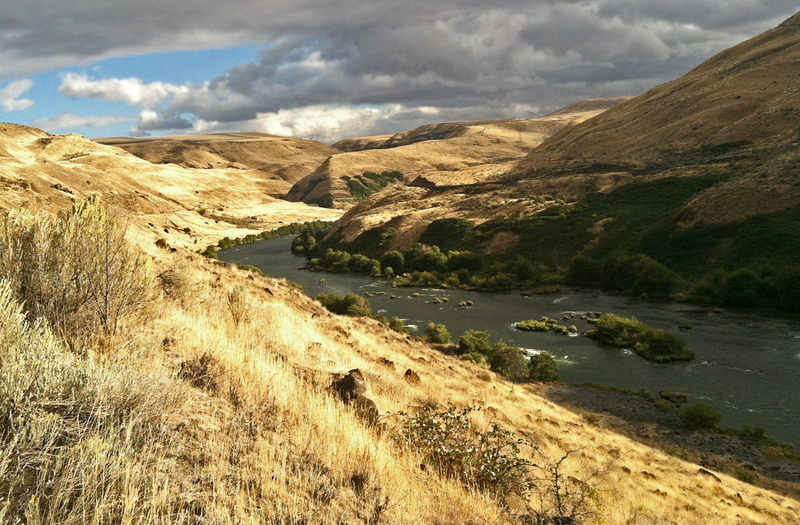 The Deschutes River Alliance hopes and advocates for the dam operators to again provide cooler water for the lower river during the hot months ahead. Only this year, do it sooner. 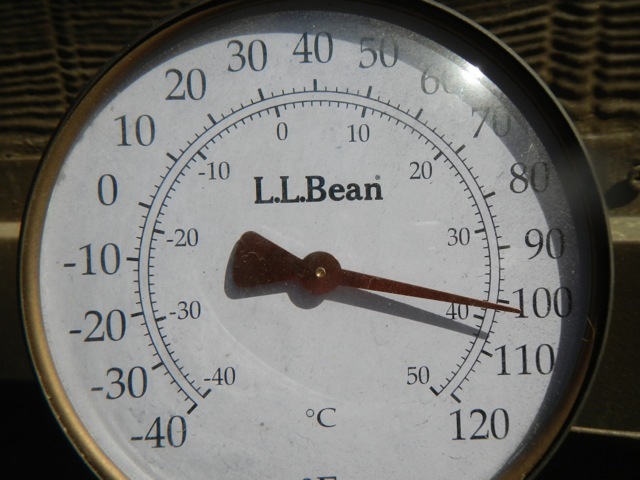 4 pm temperature in Bend, June 8, 2015. Photo by Greg McMillan.